WASHINGTON: The Regina recycling facility of Emterra has announced that it would not process plastic bags. The recycling contractor company stated that the items are too difficult for the operation to handle. The company announcement has raised protests among residents. The residents are paying higher fees but still denied quality service. The neighboring Saskatoon’s recycling program accepts plastic bags. Moreover, another Regina contractor Crown Shred and Recycling too has not reported any issue with plastic bags. However, Emterra company officials stated that plastic bags could not work with its facilities. The City had recently launched a mandatory residential recycling programme in partnership with Enterra. Mayor Michael Fougere suggested residents not to drop plastic bags in the blue bins. 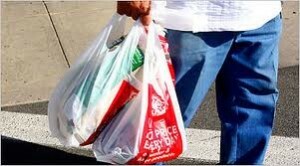 Instead he urged them to throw plastic bags in the drop-off facilities provided at grocery stores. The City had set an ambitious target to recycle 40% of household waste from landfills to recycling centres by 2015.